Backpack? Check. New shoes? Check. Haircut? Make an appointment at Great Clips! 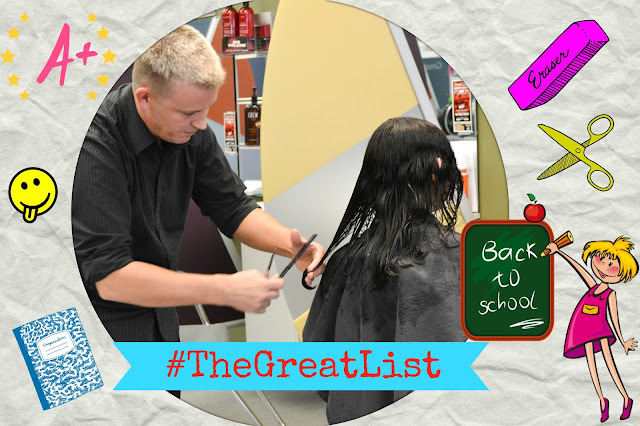 Great Clips wants to give you the best Back-to-School ever! 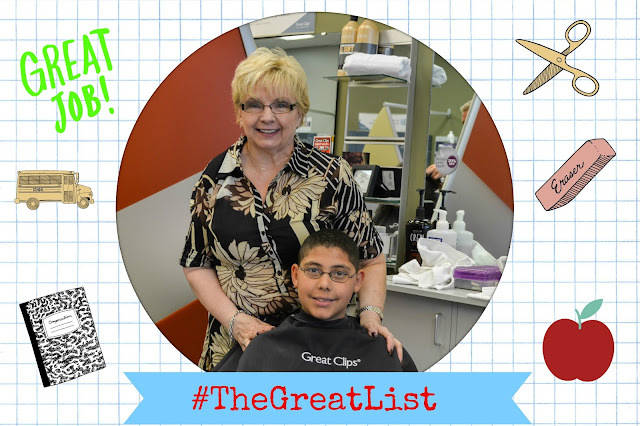 Not only they will give a cute haircut to your child to help them make the grade, but they help ease your mind and relieve your pocketbook by fulfilling your child's school supply list. Starting Tuesday, Aug. 6, you can submit your school supply list for a chance to have them do all of the work for you! 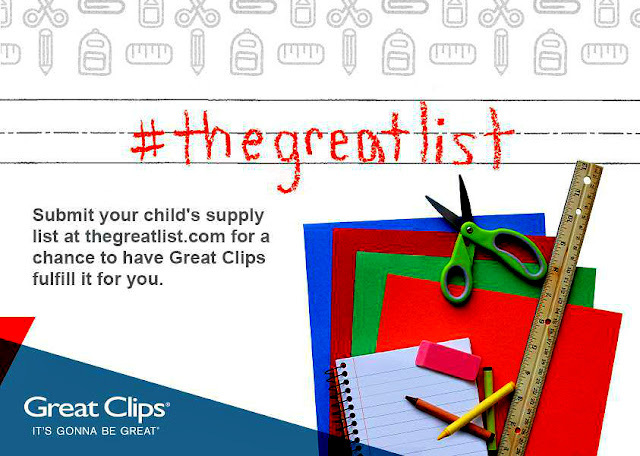 To do this, they're picking winners every day, starting August 6, to have their school supply lists filled with a promotion we're calling #TheGreatList. All they have to do is visit www.thegreatlist.com, fill out the form and send them your great list. Take a photo with your phone or upload a file for your chance to win. They’ll shop, buy and ship everything on your list so you don’t have to do a thing. If you have never been to Great Clips, this is a great place to take your kids for haircuts. I have one literally 2 minutes from our house and this is where my kids always get their haircuts. You can do online check-in to save time by downloading their iPhone App or Android App that is now available on the Android Market. If you want to check in online, but don't have a mobile device, you can simply visit www.greatclips.com to find a salon near you. Just enter your zip code or address as instructed. *Disclosure: I was provided with a complementary haircut. I was not compensated for this post. All opinions expressed are my own.